A mission to kindle a fire inside you, to find the things that make you feel alive, and to help you set yourself on fire. My story is long and meandering, but there are poignant moments along the way where I sacrificed too much for what I was “supposed” to do. Call it conventional wisdom, call it society, call it playing it safe– I don’t care. In each of those moments, something died a little inside of me. I could tell by the hopelessness and depression that later set in. Alongside these moments there are other even more poignant moments where I woke up a little more to who I was made to be and where I took courageous and terrifying steps toward letting that person be known in the world. It is because of these moments that I am on this mission– this mission to shake you awake to what really matters, to help you find where meaning and life intersect, and to inspire you to push into those places. 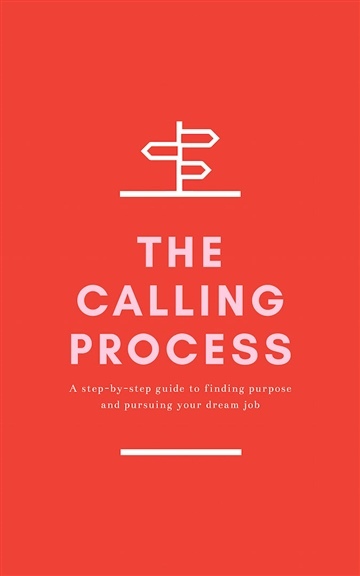 For a long time, I’ve had a hunch (which I have satisfactorily confirmed through much searching, many conversations, and a Master’s degree) that calling, vocation, and work worth doing are deeply connected to who we are, how we have come to be, and what we believe to be true about life, meaning, and God. My work is helping you find and make the impact that you were made for. You have work to do in the world— whether or not it is your “job” right now (stick around long enough, and we’ll make it your job). You have an impact to make. We are here to affirm this work and to help you declare your intention to do it. 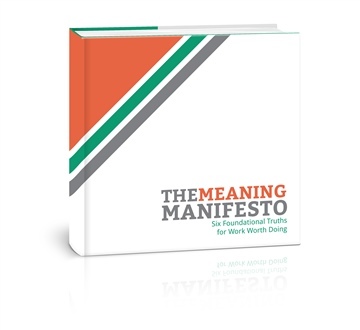 The Meaning Manifesto is an ebook that will move you to rethink the way you view your work, yourself, and the world. Yes. Yes. And yes, again. The more this is preached, heard, believed, and lived, the more all of us can breathe, laugh, love, and yes, even work; especially work – as life, as calling, as manifestation of our very soul! 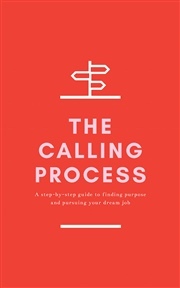 The Meaning Manifesto is inspiring, challenging, and a heartwarming reminder of my personal journey towards meaning. That difficult but rewarding journey is one we all should take, and Dan is an incredible companion on the way! So grateful for this work, leading me deeper into my own. I want to shout page 11 from the rooftops! So glad to be a part of this movement... Here’s to finding work worth doing, projects worth creating, dreams worth following, and ideas worth manifesting!